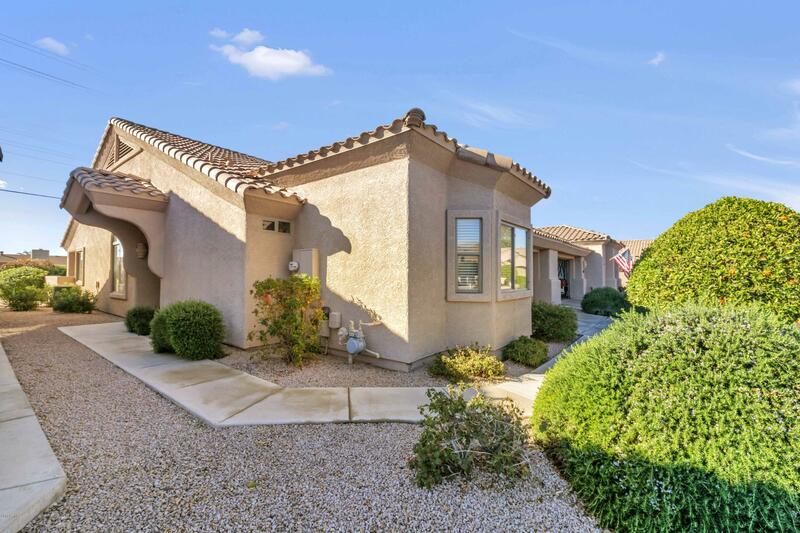 All VERDE GROVES UNIT 1-A homes currently listed for sale in Mesa as of 04/22/2019 are shown below. You can change the search criteria at any time by pressing the 'Change Search' button below. "You are special and so is the adult community of Verde Groves and this home. Built in 2001 with a desirable ''open concept'' floor plan, this home has three (3) bay windows and offers a light and bright feeling. It boasts two (2) split dual master bedrooms, plus a large library/office/den/crafts center/workout room or ?? The kitchen is spacious. The laminate wood appearing flooring gives the home a sense of warmth and an up-to-date vibe. While ''home is where the heart is'', the 10,000 square"